Geopolitical concerns have taken centre stage pushing back concerns about climate change. There is the nuclear threat in the Korean peninsula, the threat of deepening trade wars between the USA and China and threats over digital warfare and fake news of all kinds. While these geopolitical concerns are very real and require full attention of the world leaders and the international community at large, the threat of climate warming remains as real as ever but has taken second stage. This is happening despite the fact that the latest report of the Intergovernmental Panel on Climate Change (IPCC) warns that global temperatures are heading towards +3°C above pre-industrial levels rapidly increasing the likelihood of catastrophic climate change. The IPCC report also states that global CO2 emissions need to decline by 45% from 2010 levels by 2030. Furthermore, renewables are expected to provide up to 85% of global electricity by 2050, coal is expected to be reduced to close to zero and global net zero emissions be reached by 2050. The report also states that in order to limit global warming to 1.5°C, it will involve „annual average investment needs in the energy system of around $2.4 trillion“ between 2016 and 2035. In other words, the business as usual of talking rather than acting is not a sustainable solution anymore. More needs to be done rapidly to stop climate warming. The two week 24th Conference of the Parties (COP24) of the United Nations Climate Change Conference (UNFCCC) in Katowice in December 2018 ended with an agreement on a rulebook to implement the 2015 Paris Agreement but de-carbonisation is left to countries’ own political willingness to do the necessary steps of drastically cutting back carbonisation as part of their Intended National Determined Contributions (INDC). In light of the slow COP process, what is needed is an agreement to speed up development of renewable energy in form of electricity in Least Developed Countries (LDC) and Low-income countries (LICs). These countries are low emitters of CO2 so far but in light of their growing populations sizes and their development needs, providing renewable energy based electricity could help them meet energy demands while at the same time avoid high CO2 emissions in the future. Progress has been made in terms of providing more renewables on a global level however one should take into consideration that the current data shows that global electricity generation by source, shows a share of renewables of 23.5%. However, when deducting the share of hydropower of 17.2%, only 6.3% are related to non-hydro renewables like solar, wind and bioenergy. The potential for building more water dams to generate hydro-electric power in LDCs and LICs is limited from a geographical point of view and building large size water dams often negatively affect the local population and implies high financing costs, operational risks and potential cross-border conflicts. In comparison, solar panels and wind farms are less expensive and can be more easily deployed. Speeding up the development of renewable energy sources in LDCs and LICs could be supported if member countries of the UNFCCC use their NDCs to strengthen investment in renewable energy. On the other hand, WTO member countries involved in negotiating trade in energy goods and services could offer support and trade concessions to LDCs and LICs to help them regulate and facilitate production and purchasing of alternative energy technology. Such support measures could for instance include making technology for renewable energy available through transfer of technology based on favourable treatment of interlinked property rights. Another support could be asking international enterprises investing in renewable energy in LDCs and LICs to employee local staff and train them in maintaining renewable technology. Another support could be helping these countries to develop local suppliers of component parts of renewable energy technology and creating local knowledge through joint ventures and public private partnerships. The best placed organization to bring about rapid improvement of renewable energy provision, is the United National Industrial Development Organization (UNIDO). And in case of energy emergency, countries could apply compulsory licence measures to get renewable technology immediately in case the patent holders are not willing to agree to win-win solutions of joint technology use. Some of the above suggestions might clash with established trade and investment rules and need to be carefully assessed by all parties involved. As discussed above, providing electricity through renewable energy sources will be crucial in combatting climate warming in LDCs and LICs. A promising approach is to align the support for renewable energy with the Agenda 2030 by all parties involved – developed or developing countries. For the next 11 years, there will be an annual High Level Political Forum at the UN in New York to discuss countries’ implementation of the Sustainable Development Goals (SDGs). These meetings are convened under the auspices of the Economic and Social Council and this year’s HLPF will be held on 9-18 July 2019. This year’s title is Empowering people and ensuring inclusiveness and equality and the following goals with be discussed namely Goals, 4, 8, 10, 13, 16 and 17. Linking SDG 13 (on climate change) with SDG 10 (reduce inequality within and among countries) and SDG 8 (sustained, inclusive and sustainable economic growth) offers a much needed opportunity for the international community to discuss how to stop climate warming while at the same time reducing inequality and providing sustainable economic growth. In the context of the renewable energy promotion, it will be important to also take SDG 7 into account which includes three targets: universal access to energy services by all; doubling the rate of energy intensity improvement; and doubling the share of renewables (in final energy), all by 2030. However, the results of the 2017 Global Tracking Framework (GTF) report indicates that the world is not on track to achieve the SDG 7 renewable energy indicator and business-as-usual projections suggest limited growth acceleration till 2030 – therefore significant additional efforts are needed (.http://www.worldbank.org/en/topic/energy/publication/global-tracking-framework-2017). Climate Warming continues and the increase in world temperature has reached alarming heights. Taking into account the warning of the great majority of scientists, there is real risk that keeping a global temperature rise this century well below 2 degrees Celsius above pre-industrial levels is seriously in jeopardy and countries have to do much more to honour their commitments given at the Paris Agreement. Business as usual that is publically confessing good intentions (fighting climate change) while at the same time insisting on conventional IP protection needs to be reassessed and solutions be found at the coming HLPF to accelerate the use of renewable energy sources across the globe for the benefit of all. 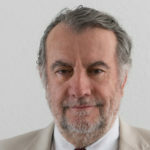 Raymond Saner is Professor Titular at Basel University and teaches at Sciences Po, Paris and Lüneburg University. He is director of Diplomacy Dialogue, Geneva, resource person for UN DESA HLPF in regard to SDG 2030 implementation and pioneer of Business Diplomacy.